So down to business. As we move through April, into May and June, many of you will want to get back the tax you are owed, after either paying too much (for whatever reason) in previous years or because you have claimable expenses that your employer did not reimburse you for. We can look at going back over 4 years (2011 – 2012, 2012 – 2013, 2013 – 2014, 2014 – 2015). Work expenses that can legitimately be claimed back come under HMRC legislation rules Income Tax (Earnings and Pensions) Act 2003 section 336 – 339. As you can see, the rules are quite complex, designed that way to keep tax payers out! The biggest expense our clients incur are travel related. This will apply to CIS (self-employed) and PAYE workers. The very nature of their work takes them away from home to anywhere where the work is. Our offshore clients have to get themselves to a heliport for onward travel to oil rigs, often in different fields out in the North Sea. Our healthcare professionals have to use their own cars to get around a busy diary of community visits. Although the rules on this travel exist, Bettertax can very easily determine your eligibility to claim – and help you do so, safely and securely. Our belief is that HMRC are under the illusion that PAYE workers always get reimbursed but we know that employers today do not always have the resources to reimburse you for the travel you need to undertake, along with other subsistence expenses, digs and food. There are many ways to evidence your expenses – keeping receipts and a diary of where you worked will always be top of the list. However, we can help you build up and gather the necessary documentation, so don’t be put off if paperwork is not your thing (just try harder to make it so!). 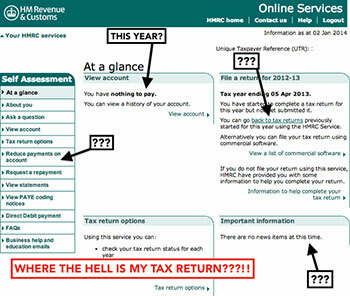 There is no reason why you can’t complete your own tax return, similarly I could attempt to build a house… but time used and mistakes made can make these endeavours costly. That’s why experts in all industry are there – including you and I! Get in touch if you need help or advice and remember to tell your friends and colleagues too.